Dingboche was good to us. We stayed with our friends at the Yak lodge and ate so well we were comatose. Sleep was fabulous due to the thicker oxygen now that we re on descent. 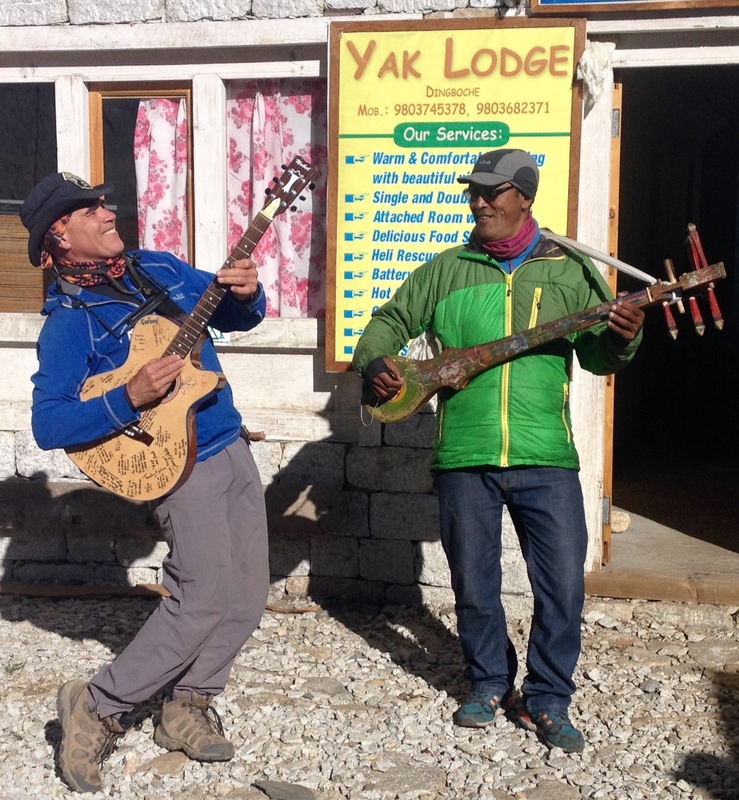 An early morning jam session with the lodge owner, Tsering Lhakpa had us in a fine mood. Lhakpa played his papa’s 70 year old Damyang from Tibet. 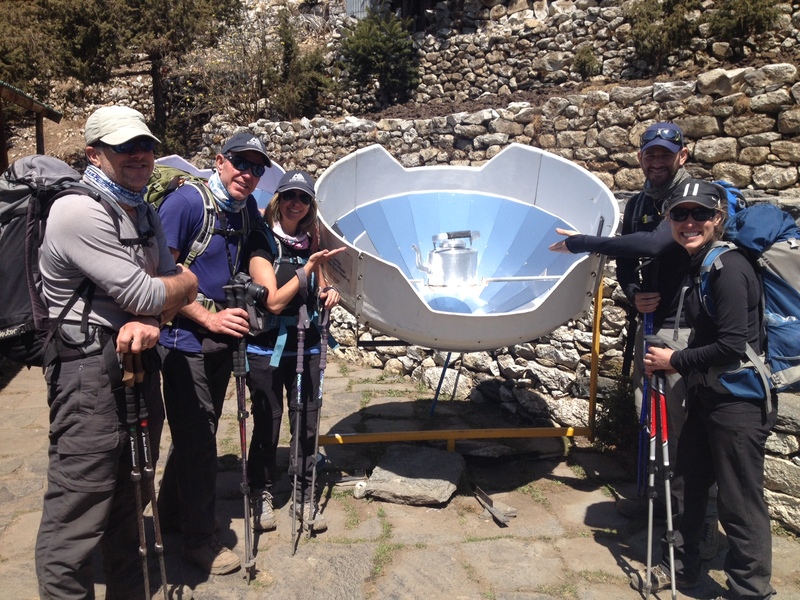 Descending to Pangboche, we checked out the popular solar cookers. 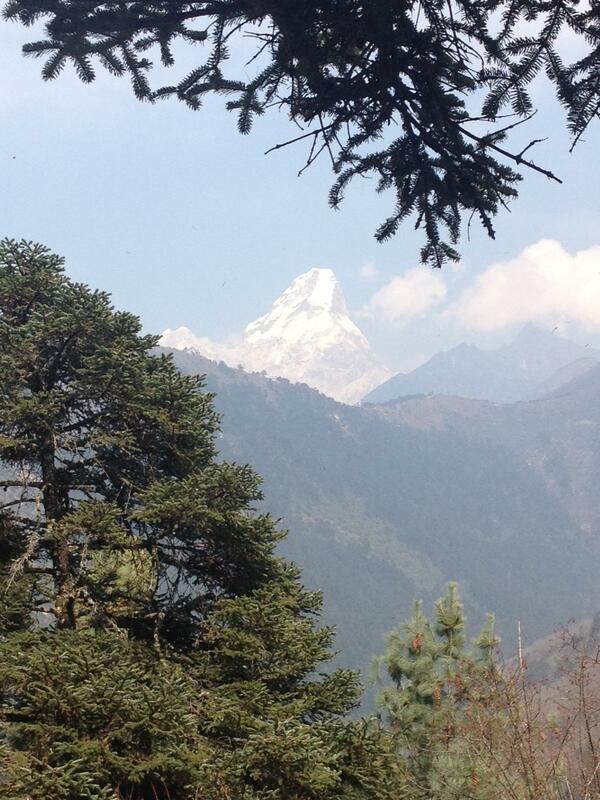 We made good time on the good trail to Namche. And we were blessed with delightful views.